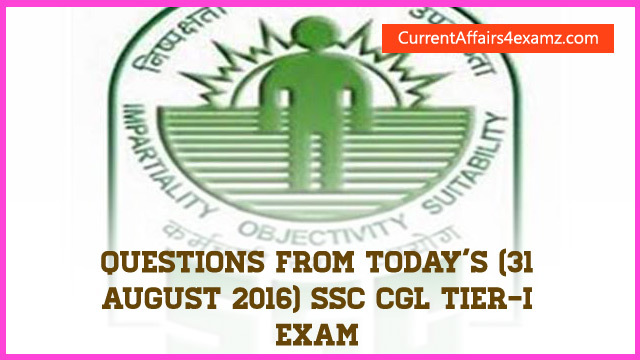 Hi Aspirants, today (31/08/2016) is the fifth day of the SSC CGL Tier-1 Exam 2016. 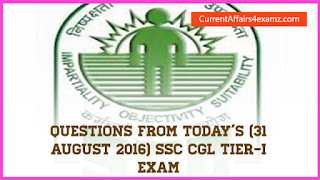 In this post we will be sharing with you the GK, English, Reasoning and Quatitative Aptitude questions asked in today's exam. There are 25 question per section and each question carries 2 marks. Time limit for Online Examination is 75 minutes and for each wrong answer 0.50 mark will be deducted. 19. Device used in data link layer? - Bridges and switches.